Regina Vogel helps mission-driven leaders and organisations maximise their impact by aligning their actions with their values and purpose. I am a certified leadership coach and facilitator, drawing from models of Co-Active® Leadership, Design Thinking and Theory U principles. Get the support you need—to create the results you want! Regina helps leaders and organisations align their values and actions. Acting with respect for people, planet and profit leads to meaningful lives and purpose-driven organisations—which stand out. They are highly sought after by ever more consumers and employees who seek more quality in life and express that through the products they buy and the services they use. You are a purpose driven entrepreneur and want to expand your reach. At the same time, you want to keep balance between your company’s and your personal needs. You’re committed to growing your impact without compromising your vision, values and freedom. As a professional you have acquired the status and financial security you want, but you lack meaning in what you do. It’s time to connect to what you really want in life and to courageously walk the path towards days full of energy. You want to transform your organisation from top-down management to agile leadership for faster response to market needs. Yet distributing leadership and responsibilities means cultural change and disrupts the status-quo. To work with and not against the resulting resistance is your biggest challenge. You want to move from focusing on the competition to spearhead it by reinventing the innovation process. You’re ready to develop products and services your customers love, as they solve their problems and help them do what they want to do. I'm ready for new responsibilities and excited to face them! I know exactly what I want and what steps to take. Receive the Leadership & Innovation newsletter! Thank you! I'll be in touch from time to time with leadership and innovation updates and free resources! 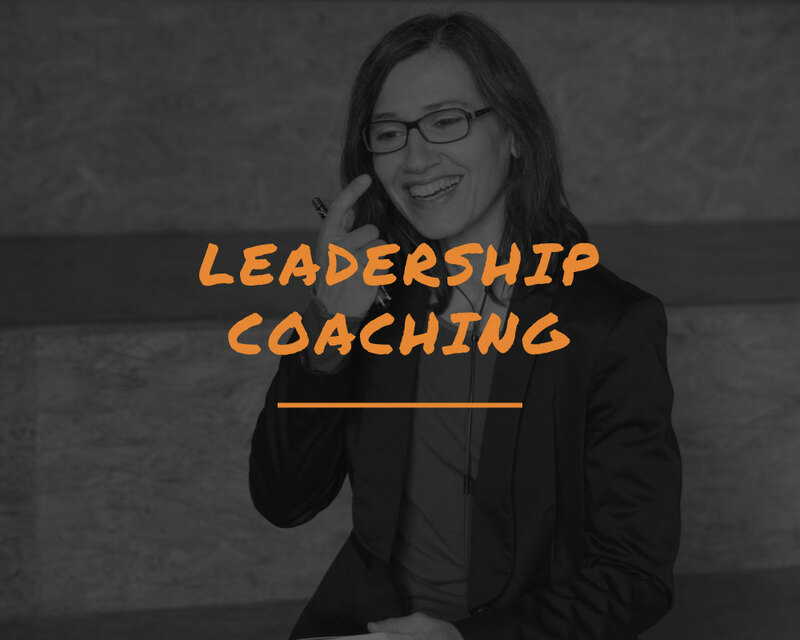 In the meantime, don't hesitate to get in touch if you'd like to learn more about my coaching and facilitation services for individuals and teams. View my love lists of resources, podcasts, TED Talks, videos, courses, and initiatives to ramp up your momentum and resilience as you evolve into your most motivated self!